Understanding QuickBooks Payroll can be a bit of a challenge for some. 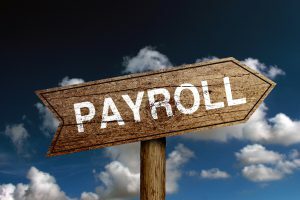 Whether you carry out the work of payroll on a desktop or in the cloud, you confront a lot of options that guide you with managing payroll according to your needs. QuickBooks is a widely used package by bookkeepers, accountants, and customers. However, there are many users who get confused when they see all of the options related to payroll. It is crucial to understand these beneficial options to carry out tasks effectively, without disturbance. For those who use QuickBooks desktop payroll, it is essential to know that there is no necessity to fill out the payroll tax form and it comes at a low cost. On the other hand, you can do on your own by filing the payroll tax and good job costing. The work related to job costing is easy in the version that is introduced in desktop. It is considered quite convenient for contractors who want to code for functions. The worker’s comp code can easily utilize all of these aspects in QuickBooks desktop payroll. The same feature is not as easy in QuickBooks online. In the course of payroll, full service payroll is considered another effective option when clients are looking for some one rather than you. This is because they need someone to take responsibility for their tax payments and filings. In this respect, full service payroll takes the responsibility of federal and state payroll fillings as well as payments from the accounts of the user. It is important to acknowledge that there is a great difference between QuickBooks online payroll within the domain of QuickBooks online. The most important aspect is that one must be sure that tax rates and previous payrolls are managed and recorded properly. It is essential because it is not easy to adjust them. However, this aspect can be easily sorted out through QuickBooks desktop. The other good thing about QuickBooks online is that they identify the names of their products in the format that you are using. QuickBooks, itself, contains a lot of benefits for small business. It is important to have command over QuickBooks payroll which makes the work easier for those who have a hard time managing accounts. This effective component helps a lot in the management of taxes and keeping the accounts clear regarding employee payments and the number of employees that are engaged in the business. The work can be easily managed on desktop and online. QuickBooks is easy for small business owners to keep appropriate records and proficient bookkeeping. The demand of QuickBooks payroll is increasing day by day because it is so easy to manage. The software is full of options that make it possible to carry out financial and tax work accordingly. It is becoming the first choice among small business owners. For those who are not familiar with the procedures, there are websites that can instruct them on how to get through the process.